Data mining methods that draw on computer science and statistics can predict traits in corn with better accuracy than previous prediction methods. Photo by Qi Mu. Larger image. 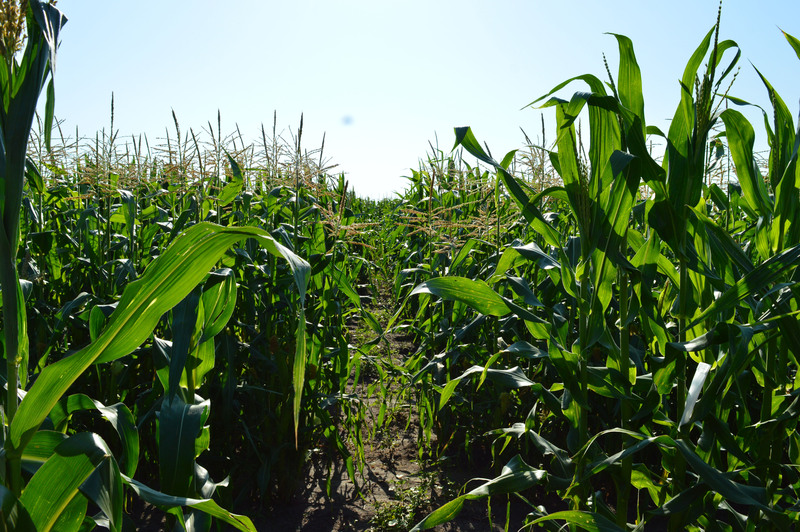 AMES, Iowa – The immense number of possible hybrids that can be created from inbred corn plants can leave plant breeders wondering where to start when attempting to produce new crop varieties with desirable traits. But new research from an Iowa State University agronomist shows how advanced data mining techniques can enhance the efficiency of the process. Funding for the research came from the National Science Foundation and the ISU Plant Sciences Institute. Other ISU scientists contributing to the research include Xiaoqing Yu, a former ISU postdoctoral research associate; Xianran Li, an adjunct associate professor of agronomy; and Haozhe Zhang, a graduate assistant in statistics; and Chengsong Zhu, a former ISU postdoctoral research associate. Data mining methods that draw on computer science and statistics can bring new clarity for plant scientists trying to design better crop varieties, according to newly published research from an ISU agronomist. The study outlines several data management approaches that can help plant breeders predict the traits of potential hybrids faster and cheaper than growing and testing the plants.